A FORMER betting shop in Athenry is now the location for a new exhibition showcasing the diverse artistic talent of both the town and its surrounding area. 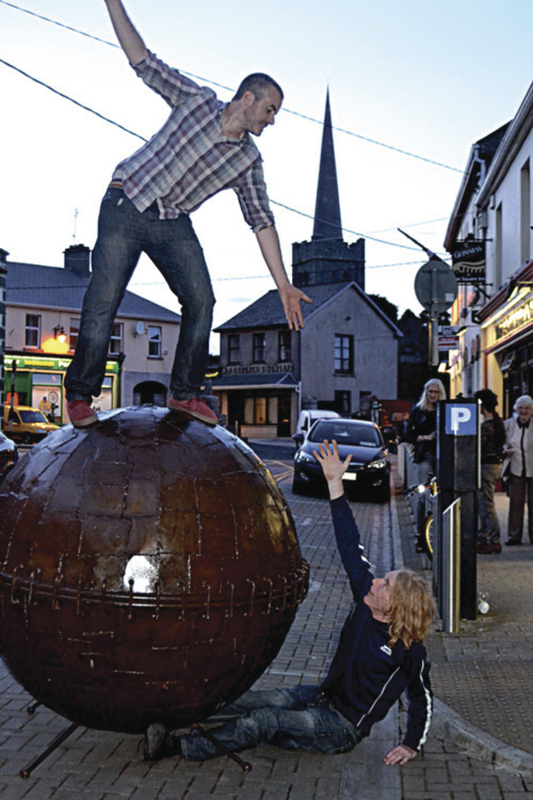 The Athenry Art Trail is being held in the former Ladbrokes on Cross Street and is the result of an idea by actress Máire Greaney Daly and sculptor Donnacha Cahill. Both felt the rural artistic community in the east of the county had so much to offer their community but was largely an untapped resource. This led to the formation of the East Galway Artists Network. The art trail and gallery came together when Ladbrokes offered its premises. The EGAN has also received support from the Galway County Council, O’Flaherty’s Chemist, Just Kidz, and Joyces Supermarket. The exhibition showcases work by a variety of east Galway artists working a range of style and media. Admission is free. Gallery opening times are 11am to 5pm (Monday to Thursday ) and 11am to 8pm (Friday to Sunday ). The exhibition runs until August 22. Page generated in 0.0833 seconds.